The September 29 event will feature double points and double prize-money and is designed to kick start an historic season for the ground pounding Late Model NSW and interstate stars. 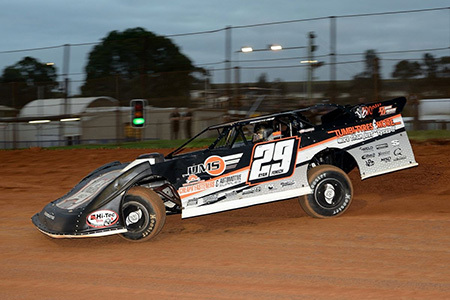 With the Ultimate Speedway Challenge two rounds at Valvoline Raceway, the Easternapolis, the 2018/2019 Australian Late Model Championship and now the United Realty Gold Cup the scene is set for a big summer. With several of the sport’s biggest names in Australia hitting the USA during our winter (and doing exceptionally well) including Ryan Fenech, Ben Nicastri and young Victorian Cameron Pearson to name a few the intensity in this year’s racing at VR may step up even further. Special thanks to United Acreage and Property Marketing for coming on board this spectacular new event to launch Late Models at Valvoline Raceway for the coming 2018/2019 season. More information on entries for the September 29 “United Realty Late Model Gold Cup” will follow soon.